Gillian completed her PhD in the School of Chemical Sciences in water quality sensing having developed sensors for phosphate and chromium in water. Gillian was funded by a Naughton Fellowship in a collaboration between Professor Jennifer Tank, University of Notre Dame and Prof. Fiona Regan, DCU School of Chemical Sciences. 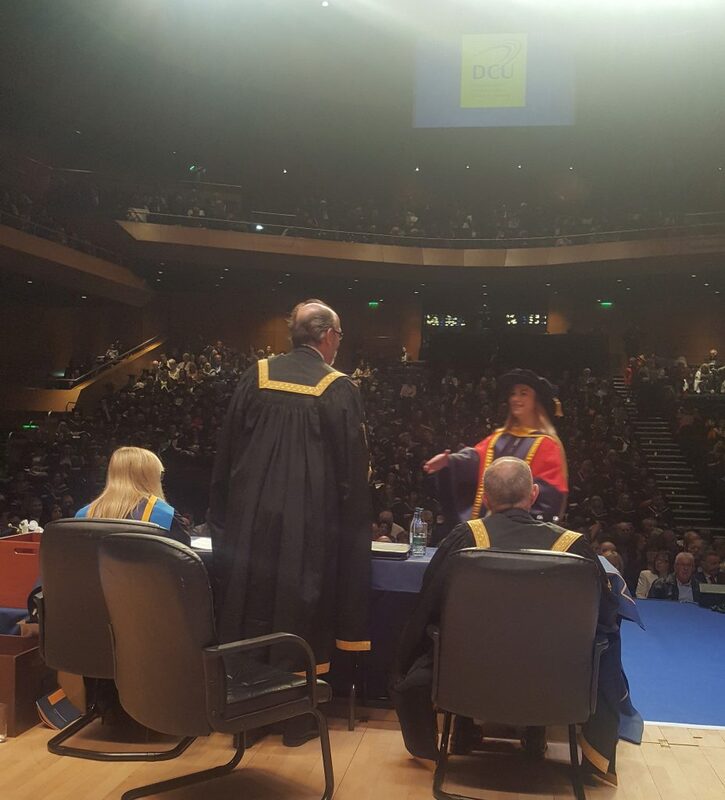 Dr Thayse Marques Passos also graduated with a PhD from the School of Biotechnology in DCU. Thayse worked with the supervisors: Dr Brid Quilty and Dr Mary Pryce. Thayse has recently began working with DCU Water Institute as a postdoctoral researcher in microbiology of wastewater on the EXEMPLAR project. Congratulations and best wishes to Gillian and Thayse from the DCU Water Institute.